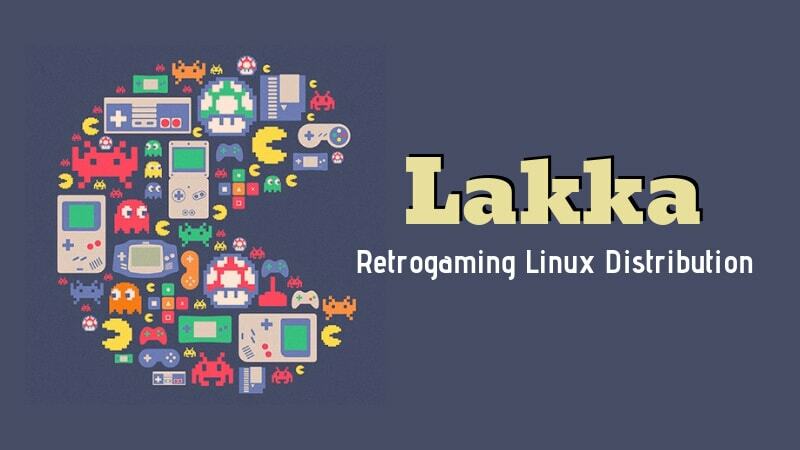 If you have an old computer gathering dust, you can turn it into a PlayStation like retrogaming console with Lakka Linux distribution. You probably already know that there are Linux distributions specially crafted for reviving older computers. But did you know about a Linux distribution that is created for the sole purpose of turning your old computer into a retro-gaming console? When I say retrogaming console, I am serious about the console part. If you have ever used a PlayStation of Xbox, you know what a typical console interface looks like. Lakka provides a similar interface and a similar experience. I’ll talk about the ‘experience’ later. Have a look at the interface first. RetroArch is a frontend for retro game emulators and game engines. The interface you saw in the video above is nothing but RetroArch. If you just want to play retro games, you can simply install RetroArch in your current Linux distribution. Lakka provides Libretro core with RetroArch. So you get a preconfigured operating system that you can install or plug in the live USB and start playing games. Lakka is lightweight and you can install it on most old systems or single board computers like Raspberry Pi. It supports a huge number of emulators. You just need to download the ROMs on your system and Lakka will play the games from these ROMs. You can find the list supported emulators and hardware here. Before you go on installing Lakka you should know that it is still under development so expect a few bugs here and there. Keep in mind that Lakka only supports MBR partitioning. So if it doesn’t read your hard drive while installing, this could be a reason. The FAQ section of the project answers the common doubts, so please refer to it for any further questions. Do you like playing retro games? What emulators do you use? Have you ever used Lakka before? Share your views with us in the comments section. Outstanding Abishek: Very nice to visit your site just for your depth and enthusiasm in the one of the Nicer OS platforms. As we all can thank Torvalds for his grand project simply to advance his studies lacking in MainFrame access. For His drive we now all prosper in a great fun loving absorbing diversity creations. Linux! Amen. To what is has become, along this new Lakka building a dream is coming true Thx All! – if this can be developed to operate many console and PC emulations along with supporting Graphics engines. The greater fun to teach the young audience anything can be performed on beloved Linux. That’s a good news,so that I can play many interesting games on my old computer. Thanks for sharing this. It’s impressive overall. However, there’s no classic anything without C64 and Amiga games/ROMs emulators. It’s a big miss indeed. The name Lakka is great. They mention in the FAQ it means cloudberry in Finnish, but it also mean lacquer in Finnish, so great for preserving your old hardware!